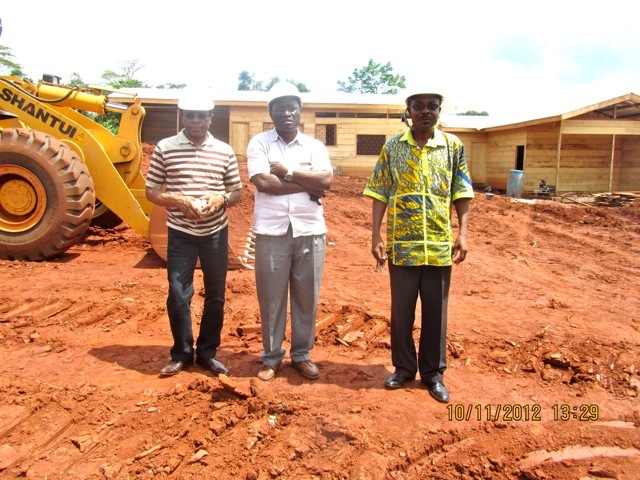 Despite heavy rains, progress on the Magrabi ICO Cameroon Eye Institute in Yaounde has been satisfactory, as Dr Daniel Etya’ale observed during a visit to the construction site, early November. At the time, final touches were being made on the construction site offices, sheds and warehouse. 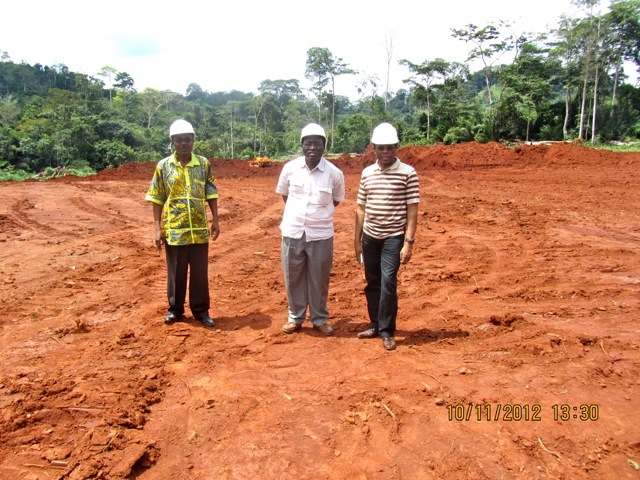 A representative of the construction company (left) was on site to provide updates on the site preparation and the imminent start of construction proper. 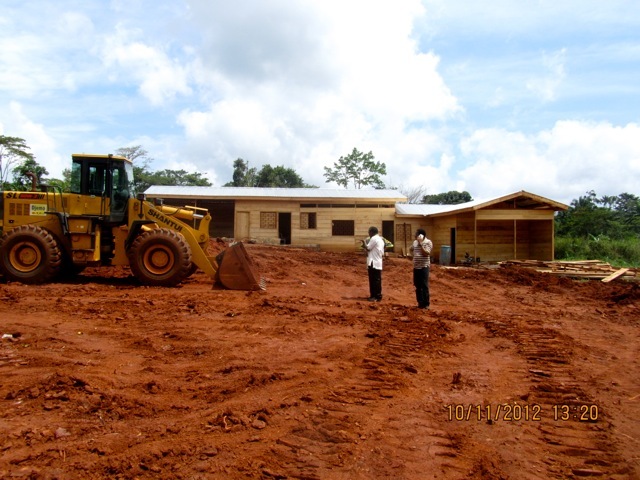 This entry was posted in Cameroon, Cameroon Eye Institute, Eye Clinic, Uncategorized and tagged Cameroon, Construction, Eye Clinic, ICO, Magrabi, Yaounde. Bookmark the permalink.